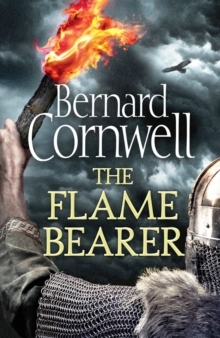 The brand new novel in Bernard Cornwell’s number one bestselling series on the making of England and the fate of his great hero, Uhtred of Bebbanburg. BBC2’s major TV show THE LAST KINGDOM is based on the first two books in the series. From the day it was stolen from me I had dreamed of recapturing Bebbanburg. The great fort was built on a rock that was almost an island, it was massive, it could only be approached on land by a single narrow track – and it was mine. Britain is in a state of uneasy peace. Northumbria’s Viking ruler, Sigtryggr, and Mercia’s Saxon Queen Aethelflaed have agreed a truce. And so England’s greatest warrior, Uhtred of Bebbanburg, at last has the chance to take back the home his traitorous uncle stole from him so many years ago – and which his scheming cousin still occupies. But fate is inexorable and the enemies Uhtred has made and the oaths he has sworn combine to distract him from his dream of recapturing Bebbanburg. New enemies enter into the fight for England’s kingdoms: the redoubtable Constantin of Scotland seizes an opportunity for conquest and leads his armies south. Britain’s precarious peace threatens to turn into a war of annihilation. But Uhtred is determined that nothing, neither the new enemies nor the old foes who combine against him, will keep him from his birth right. He is the Lord of Bebbanburg, but he will need all the skills he has learned in a lifetime of war to make his dream come true.